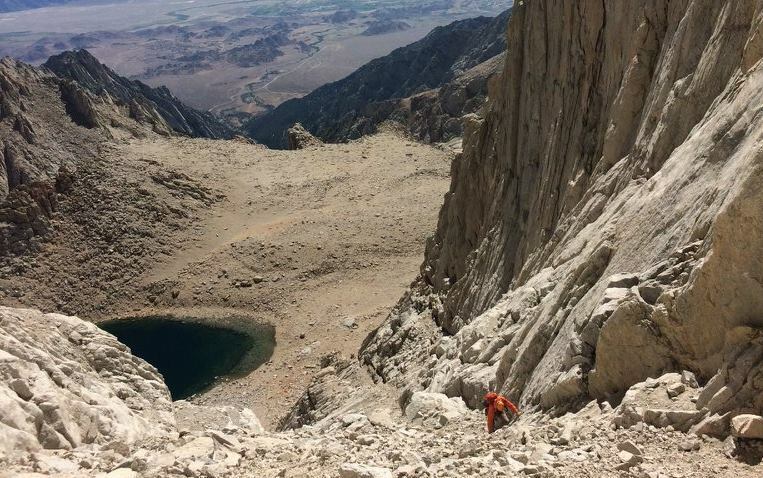 From July 20th to 24th, 2016, Inyo SAR participated in a search for a missing hiker on Mt Whitney. As the search grew, new evidence suggested the hiker was last seen on the western side of the Sierra Crest, and thus in Sequoia National Park. Sequoia and Inyo coordinated a joint effort involving many teams of volunteers and paid staff from all over the state. The search began with a report that a group of hikers had left Whitney Portal early Monday, July 18th, intending to day-hike the mountain via the North Fork/Mountaineers Route. The story takes them up the trail to Upper Boy Scout Lake, where they left the normal ascent route and continued above the lake towards Mt Russell and the headwall of that drainage. They worked up a steep, 4th-class section to gain the Whitney-Russell ridgeline, then descended to the uppermost Arctic Lake for a rest. Later, they returned to the ridgeline and huddled together for the night. In the morning, the subject left the group, perhaps to go look for a safer way down. 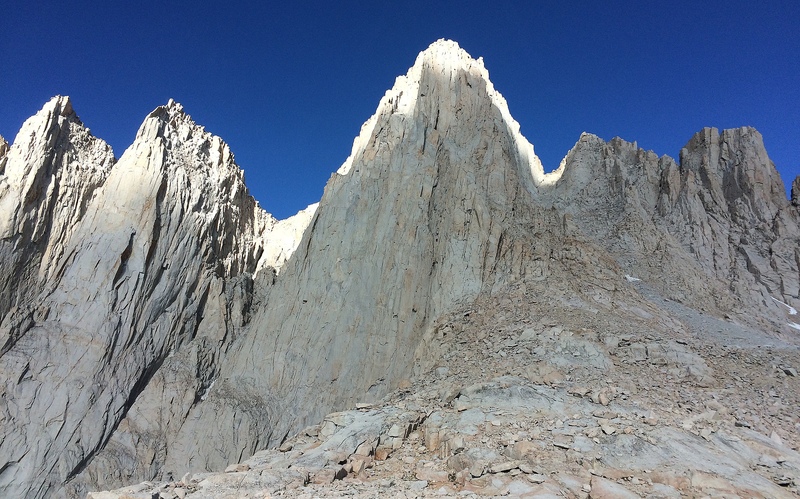 The group watched him go up the North Face of Whitney, where they saw him remove his pack and leave it. Many hours later, they decided to descend without the other hiker, but were assisted by a couple of others who knew the area and could help lead them down the right path. Search teams on the ground found the pack where the group had generally suggested it would be, about half way up the north face. (Note: the coordinates and pictures posted labeling where the pack was found were a little wrong. The coordinates taken from the GPS may have been distorted from proximity to,and steepness of, the north face. After consulting with team members in the field, the pack was located downhill and climber's right of the posted location, just west of the central rib of the North Face.) There was no sign that the subject reached the true summit, as no other hikers reported seeing him, and he did not sign the register. Later, on the upper southwest slope, ground searchers found a rope tied to a rock in some 2nd class terrain, and laid out across the rocks in a line. Searchers believe this rope belonged to the missing hiker. 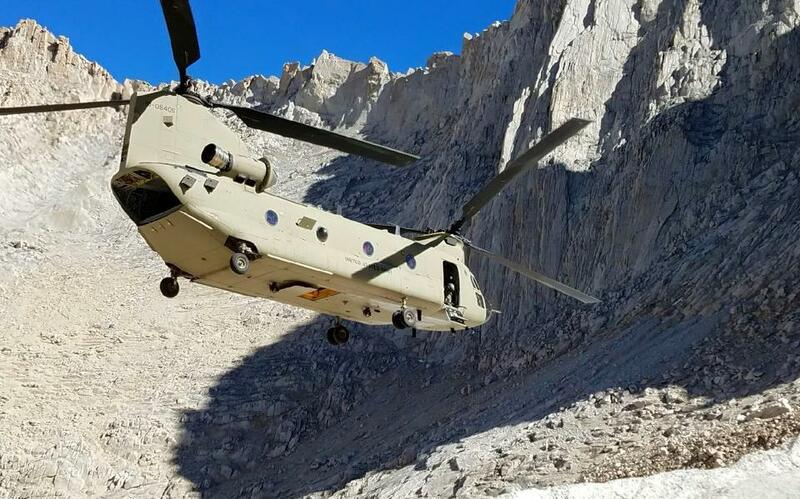 Finally on the fifth day of the search, a helicopter spotted what appeared to be the remains of the missing hiker near the bottom of the southwest face of Whitney, and directed ground teams in to confirm. An investigative team from Sequoia NP recovered the body and transferred it to the Tulare County Coroner. Inyo SAR would like to thank Sequoia and Kings National Parks for their cooperation on this case and willingness to work as a team. We would also like to thank the many agencies and teams who invested so much time, skill, and hard work into this search. These include Bay Area Mountain Rescue Unit, Marin County SAR, China Lake Mountain Rescue Group, Sierra Madre SAR, Contra Costa Search and Rescue, San Diego Mountain Rescue Team, CHP Helicopter 80 (Apple Valley), CHP Helicopter 40 (Fresno), and of course the California National Guard Bravo Company 1-126 AVN REGT. Sunday evening update: After five days of an intense multi-agency search effort we are all deeply saddened to report that missing hiker John Lee’s body has been located by a helicopter in Sequoia National Park at the base of the southwest slope of Mt. Whitney ~12,500 feet elevation. Our thoughts are with Mr. Lee's family and friends during this very difficult time. Sunday morning update: SAR members are preparing for another multiagency search for missing hiker John Lee. Sunday’s support includes: Sequoia and Kings Canyon National Parks, Inyo County Sheriff’s Office, Inyo County Search and Rescue, Yosemite Search and Rescue, Marin County Search and Rescue, Bay Area Mountain Rescue Unit, China Lake Mountain Rescue Group, Contra Costa Search and Rescue, San Diego Mountain Rescue Team, CHP H-40 out of Fresno, California Air National Guard, and CalOES. Saturday afternoon update: Additional information received today from one of the hiking companions indicated that Mr. Lee realized the route taken was difficult and his goal for departing solo Tuesday morning was to find a safe route for the party to descend. Original reports indicated that Mr. Lee wanted to continue to summit Whitney. We are following all leads. Today 38 SAR members as well as air support have actively been searching. All updates will be posted. Saturday UPDATE: Today is another massive multiagency search for missing hiker John Lee. Saturday’s support includes: Sequoia-Kings National Park, Inyo County Sheriff’s Office, Inyo County Search and Rescue, Marin County Search and Rescue, Bay Area Mountain Rescue Unit, Placer County Search and Rescue, Sierra Madre Search and Rescue, California Air National Guard, and CalOES. Friday afternoon update: At approximately 1:00 this afternoon a backpack was located north of the Mountaineer's Route on a rocky outcropping; the pack was positively identified as John Lee's. Lee's hiking companions reported that as they were ascending Monday on what they believed was the Mountaineer's Route for a day hike; they became concerned for their safety and spent the night. 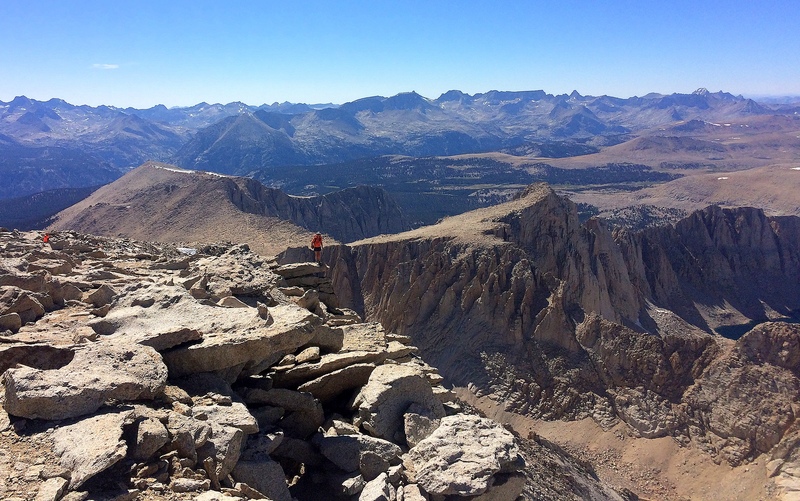 In the morning the group began to descend, but Mr. Lee wanted to continue on to summit Whitney, and hike out. The hiking companions watched Mr. Lee “hang” his pack on a granite ledge, perhaps to be less cumbersome as he climbed toward the summit. Search crews are continuing their efforts near and around the location of the pack. A photo has been provided for visual context of the backpack location. 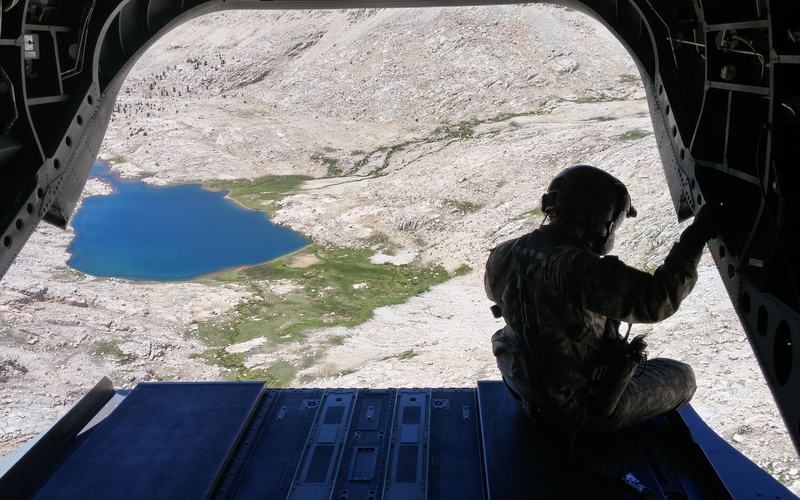 Friday July 22, 2016 Lee Search UPDATE: Inyo County Search and Rescue (SAR) is gearing up for another massive multiagency search for missing hiker Bum “John” Lee. Lee has been missing since Tuesday afternoon. On Wednesday CHP H-80 out of Apple Valley provided aerial reconnaissance; however Lee was not located. 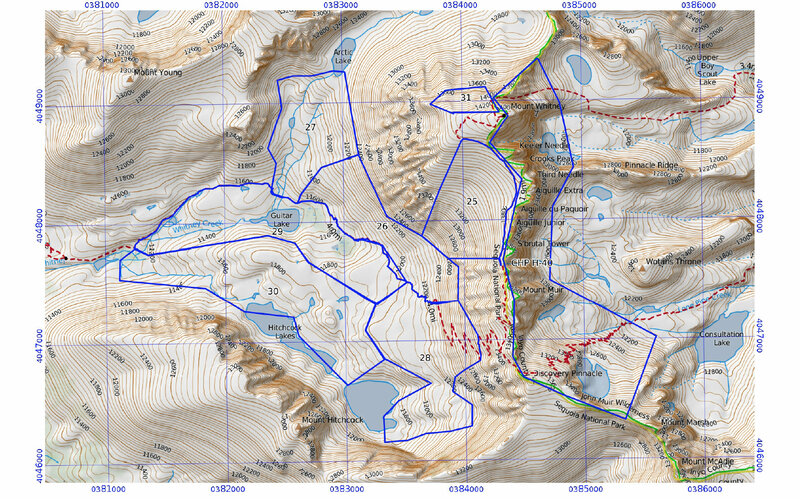 Inyo SAR members were inserted above and below the Mountaineer’s Route on Mt. Whitney yesterday with the assistance of CHP H-80. This morning additional SAR members are arriving to continue the Lee search with an expanded search grid to include the Mt. Russell area, Iceberg Lake area, and Arctic Lakes Basin. 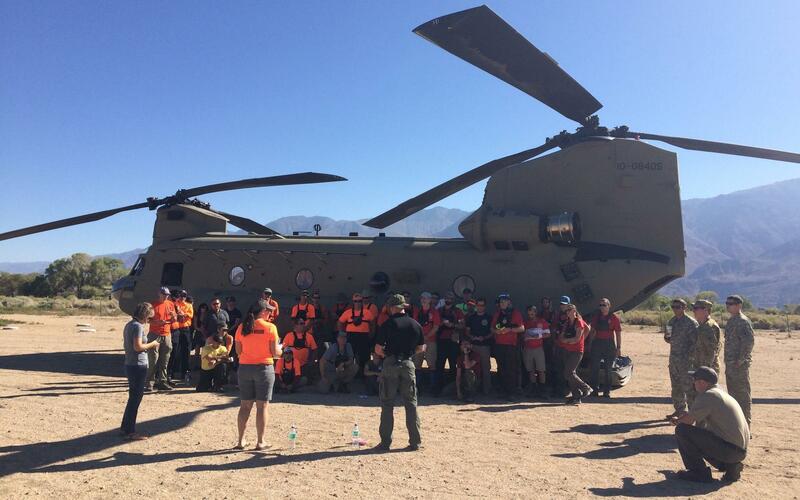 Thursday support was provided by: Inyo County Sheriff’s Office, Inyo County Search and Rescue, China Lake Mountain Rescue Group, Sequoia-Kings Canyon National Park, CalOES, and CHP H-80. 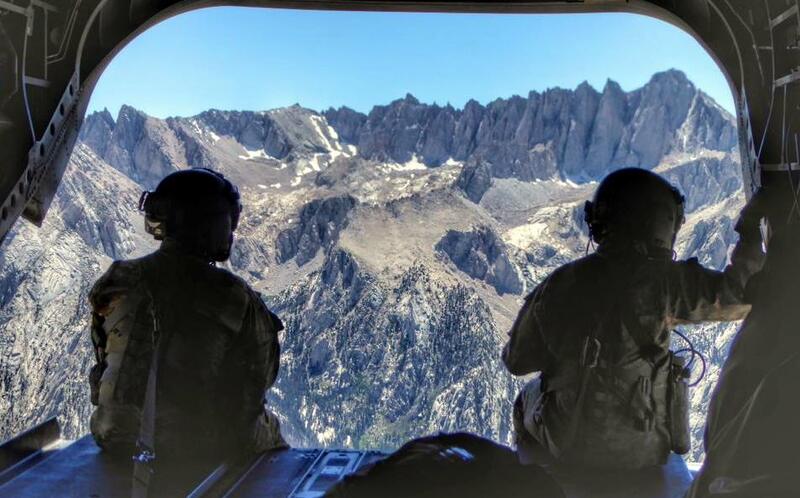 Today support includes: Inyo County Sheriff’s Office, Inyo County Search and Rescue, Marin County Search and Rescue, Bay Area Mountain Rescue Unit, Placer County Search and Rescue, Sierra Madre Search and Rescue, Sequoia-Kings Canyon National Park, CHP H-80, California Air National Guard, and CalOES. If anyone has any information that may assist in this search please contact Sheriff’s Dispatch as 760-878-0383. Thursday, July 21st: A search is underway for missing man, Bum “John” Lee, a 68-year old man from the Redlands area in California. Sheriff’s Dispatch was alerted Tuesday afternoon. According to the information received, Lee was attempting the Mountaineer's Route on Mt. Whitney, and was last seen above Iceberg Lake in the chute as he was ascending. Posted in 2016, Most Memorable.